MBA Colleges in Pune Under Pune university are the most preferred Top MBA Colleges hence under the wishlist of an MBA aspirant . So There are Many Top MBA colleges in Pune Affiliated to Pune University ( Savitribai Phule Pune University ) . Therefore having a Set Admission Criteria and MBA Admission State Entrance Exam MHCET / ATMA . Also Selection Process under the Guidance of DTE , Maharashtra through CAP Counseling Round . Therefore Students Not only from Different parts of India but also from neighboring Countries and other places of World come Pune in search of Management Studies . So they study Masters here in Pune . Pune a District in Maharashtra famous for world class Institutions . Due to Consistent Quality Education , Overall Development of students and Settlement in Jobs makes Pune the Most of all Demanded Location in India for Perusing Masters Courses among the Aspiring students . No other State University in Pune grants permission for affiliating MBA Colleges Pune . Therefore in other words only MBA Colleges Pune affiliated to pune University are legal / Authorize to grant approval to MBA Colleges in Pune along with AICTE affiliation in conclusion . 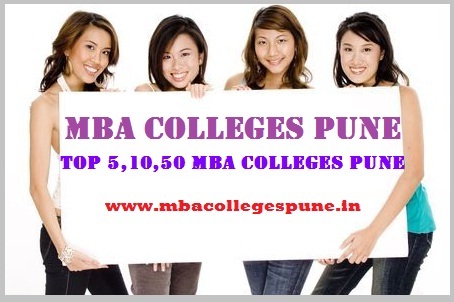 MBA Colleges in Pune Under Savitribai Phule Pune University . List has Top 10 | 20 | 50 MBA Colleges in Pune affiliated to SPPU Pune . S.No MBA Colleges in Pune affiliated to Pune University . 3 Audyogik Shikshan Mandal Institute of Professional Studies. 21 Aissms Institute of Mgmt. 51 Vishwakarma Inst. of Mgmt. Ramachandran International Institute of Mgmt . 1 . Master of Business administration (M.B.A.) 2 Years Graduate possession 50% marks at degree(45% in the case of the reserved Category candidates) in any faculty of Statutory university shall be eligible for admission to the MBA Course after a written test, Interview and other tests. 2 . Master of Personnel Management (M.P.M) 2 Years Any graduate of statutory University will be eligible for admission to M.P.M. Course. 5 . Master of Marketing Management (M.M.M.) 4 semesters Graduate of any discipline with 50% marks of any University recognised by the Association of Indian Universities or any equivalent degree. 10 . Diploma in Hospital Management (D.H.M.) 1 Year Complete Graduation . 11 . Diploma in Office Management (D.O.M) One Year Complete Graduation .